Did 2018 fly by for you? It did for the RealTime Talent team. About this same time last year, we were welcoming our new Executive Director, Deb Broberg, to RealTime Talent and we had just finished moving into the Chamber Foundation location. We adopted the mantra, “new year, new location, same mission.” As the year moved on and we settled into our new home, we continued to focus on our mission: to help create more informed, market-oriented decisions throughout the Minnesota workforce and education ecosystem to ensure the state’s economy has the talent it needs to help Minnesotans prepare for well-paying careers. We also continued our aim to create a movement toward workforce alignment, support sector-based collaborations for quality employment opportunities, increase cross-sector collaboration, and ensure daily decision-making is guided by strong data in the workforce and education ecosystem. Phew! That’s not only a mouthful – that’s a big task at hand! It’s a great thing we have so many great partners dedicated to Minnesota’s workforce and economy. In 2018, RealTime Talent developed 113 data driven reports. From occupation snapshots and industry overviews, to labor market analyses and custom-built surveys, we offered just-in-time insights to decision-makers and encouraged data-informed planning in our workforce and education systems. Many of these reports are available on our website at http://www.realtimetalent.org/research. We also gave 85 presentations and trained 310 participants on real-time labor market data tools both in the education and workforce space. 95 organizations and institutions of higher education that work with students, job-seekers, or employers currently had access to TalentNeuron Recruit and training and about 335-400 people currently use TalentNeuron Recruit on a regular basis in service to students, job-seekers, or employers. 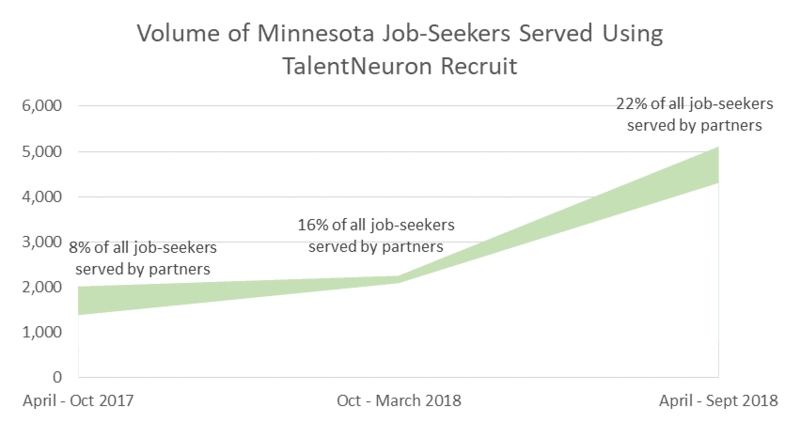 Between 6,400 and 7,350 job-seekers statewide received job search assistance that included data from TalentNeuron Recruit in FY2018, doubling the reach of the tool in 2017. An estimated 7,200 students were advised using data from TalentNeuron Recruit in FY2018, with many more being reached with modified curriculum, programs, and materials that introduced them to high-demand career pathways. Approximately 60% of users working directly with students said use of TalentNeuron Recruit “increased the relevance of job opportunities to student needs” between April and October 2018. 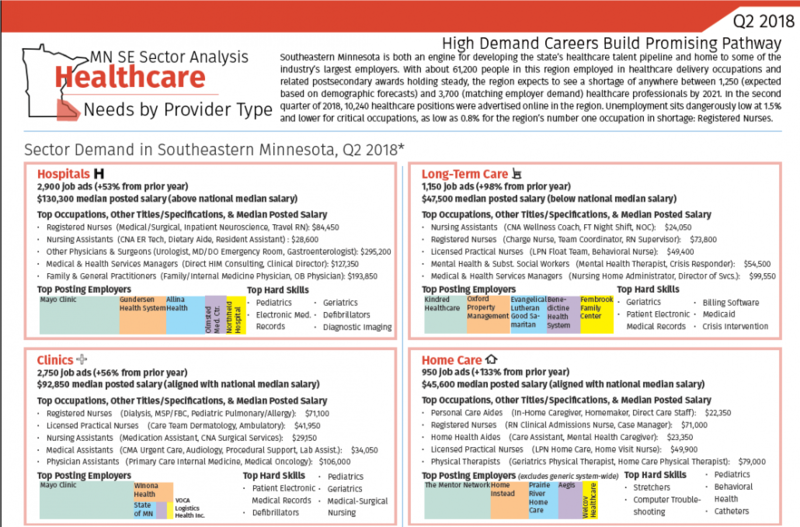 RealTime Talent continued to use its unique position as a public-private partner to bring creative solutions to Minnesota’s labor shortage, skill misalignment, and labor market inefficiencies. In K-12 education, we expanded TalentNeuron access and training, developed customized career pathway reports, and provided data consultation to Career and Technical Education (CTE) consortia across Minnesota, leading to in-depth engagement and increased use of labor market data in the classroom. For Higher Education, RealTime Talent created customized reports or provided consultation around program development, expansion, modification, as well as regional workforce data for institutions including, but not limited to, The College of St. Scholastica, St. Cloud State University, Normandale Community College, and AgCentric Center of Excellence. Some of RealTime Talent’s contributions to the workforce system include engagement with the Greater Metropolitan Workforce Council’s workforce planning efforts, supporting the sector committee, data work team, and the strategic partnership team in employer engagement and securing appropriate labor market data. RealTime Talent also supported the curriculum and delivery of the GMWC Sector Skills Academy, focusing on data-informed decision-making and employer engagement strategy. 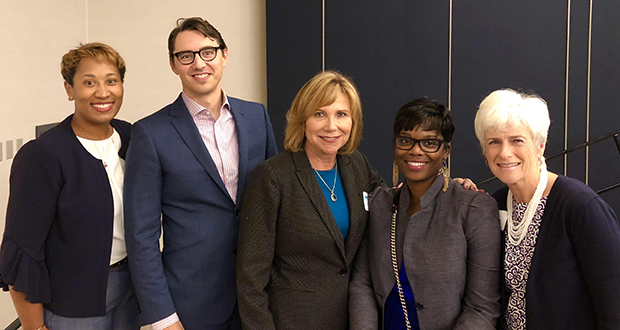 We were privileged to collaborate with the DEED Workforce Strategy Consultants and the Center for Economic Inclusion to support the GMWC and local Workforce Development Board employer engagement needs in the six key industry sectors. This past year, RTT established a Business Talent Initiative, with the support of GreaterMSP, MSPWin, the Minnesota Chamber, MN Business Partnership, and the Itasca Project, to facilitate employer involvement in partnership with key sector team leads: MPMA, Hennepin County, AgriGrowth, and MHTA. This Business Talent Initiative is now a working group within RealTime Talent’s Advisory Council. We continued the development of diversity reports and talent sourcing strategy consulting for private companies and business associations, provided labor market data for industry membership organizations, and solidified relationships with the commercial building trades associations, offering demographic and workforce data for four quarters to help guide apprenticeship program enrollment planning. We look forward to the work ahead of us in 2019 and collaborating with our partners in the great state of Minnesota. If you have any questions about the work of RealTime Talent, please contact Phil Arellano, phil@realtimetalent.org. Content contributed by Phil Arellano and Erin Olson, RealTime Talent.